I couldn’t do it. I couldn’t play yet another clone of Pokémon Go. Pokémon Go is already a game I have mixed feelings about, and these bad copies can’t even be bothered to fully steal what’s actually fun about that game— they just slap a random intellectual property on top of an even weaker design and expect success. Garfield, The Walking Dead, and now Ghostbusters? I couldn’t do it. To be fair, the winter season certainly contributed. No matter how good your capacitive-finger-tipped gloves are, playing location based mobile games isn’t pleasant when it’s sub-freezing outside. If my face is going to freeze and fall off, I’d be better be enjoying the game I’m playing. It turns out, however, that what I really needed was a bit of a reset. A back-to-basics redoing that came in the form of a bad, but interesting-bad game called Follow JC Go, where you walk around collecting biblical characters and Catholic saints. That game was a weird enough of an experience that after I was done with it, I realized that yes, yes I could bring myself to play another one of these. Ghostbusters World had been sitting on my phone for quite some time and I now felt ready to give it a whirl. I insulated myself from the cold and stepped outside, ready to go. 15 minutes later I went inside and sat down– it turns out that Ghostbusters World has a long start-up. Ghostbusters is one of my favorite movie series. The cartoon was a childhood obsession. The theme song digs deep into me every time I hear it and booting up this game, you’re hit with it immediately. Hearing that song alone was targeting a particular weakness of mine and all I could do was acknowledge it, try to maintain a critical mind, and forge ahead. Ghostbusters World has a lot going on from the start, so as mentioned, you don’t get into the game for a while. You’re introduced to various game mechanics and given a bit of story, both of which I appreciated despite sweating from wearing too much clothing after coming back indoors. 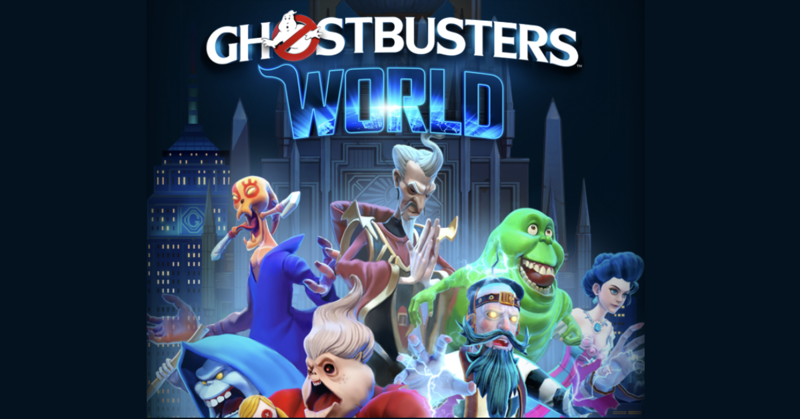 Ghostbusters World has you wandering a map of your real world, trapping and collecting different ghosts which appear as you walk around. It’s hard to describe this game without feeling redundant or patronizing to an audience who likely already knows how Pokémon Go plays, for Ghostbusters World is fully a Pokémon Go clone, sometimes hilariously so. Populated throughout the map are markers, which when accessed, give you vital items such as traps, which like pokeballs, you use to catch ghosts. 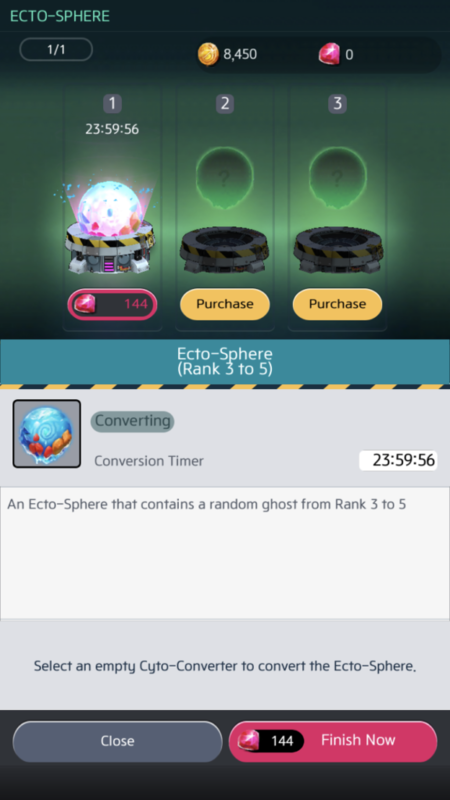 There’s even Pokémon Go’s egg-hatching system– called “echo-spheres” here– which give you a rare ghost type after a certain amount of time. My rising tension with Ghostbusters World wasn’t helped by being bludgeoned by the Ghostbusters theme song, the song that I love, over and over again. Oh wait sorry, not the theme song exactly, but *30 seconds* of the theme. Turns out that the clip plays, cuts off at an odd time, and then plays… again and again. It’s the weirdest thing. I mean, ok, maybe you couldn’t afford the rights to the full song or the other songs in the Ghostbusters soundtrack, but you couldn’t have the game transition into ANY other music thereafter? There are some other quality of life things missing from Ghostbusters World. Like, when you’re walking along and ghost appears on the map, there’s no audio cue. The only way you’d know a new ghost has appeared is by constantly staring at your phone as you walk around, which for obvious reasons is unsafe and tiresome. It’s hard to not be mean and cynical about such a thing, but how did any of the developers play their game and not immediately demand that feature? Despite this and many more complaints I haven’t detailed here because they’re boring, I found myself thinking about Ghostbusters World far more than I thought I would. Unlike many of the clones I’ve played, this game actually adds a few new ideas on top of the elements stolen from Pokemon Go. The ghosts you collect all have combat stats which are important to note because Ghostbusters World has another game within it, apart from the collecting. You form a team from the ghosts you’ve captured and then battle a series of enemies in a video-game-RPG style. There are daily challenge battles, there’s a story mode, as well as an ongoing mode where you ostensibly fight your way up the Gozer Tower of the first movie. There’s even a player-versus-player mode but those folks in there are far more serious than me; I get destroyed every time I set foot in there. Unto its own this little side game would be pretty dull, but wrapped with the ghost-capturing element of Ghostbusters World, it’s a fun twist on the format. 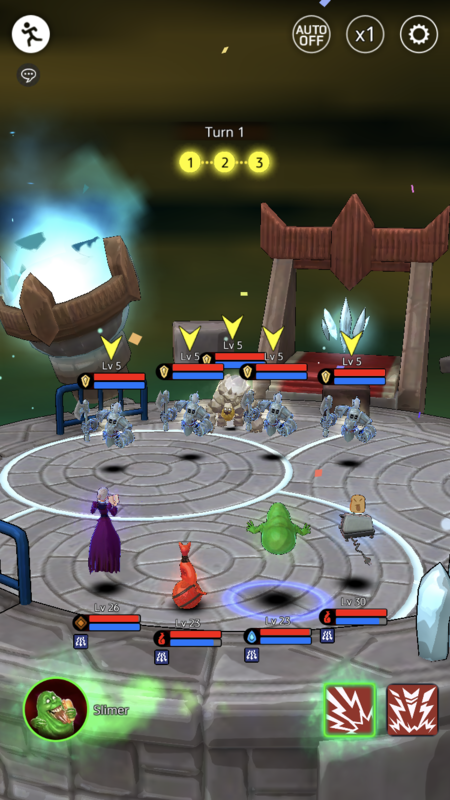 You’re considering the special moves of your ghosts, their elemental attacks (which is really just a game of rock-paper-scissors) and where they stand in rank during the battle. You upgrade them with resources you earn along the way and are ever mindful of the possible need to walk around the real world some more because say, you might need to go capture a better Slimer than the one you have. 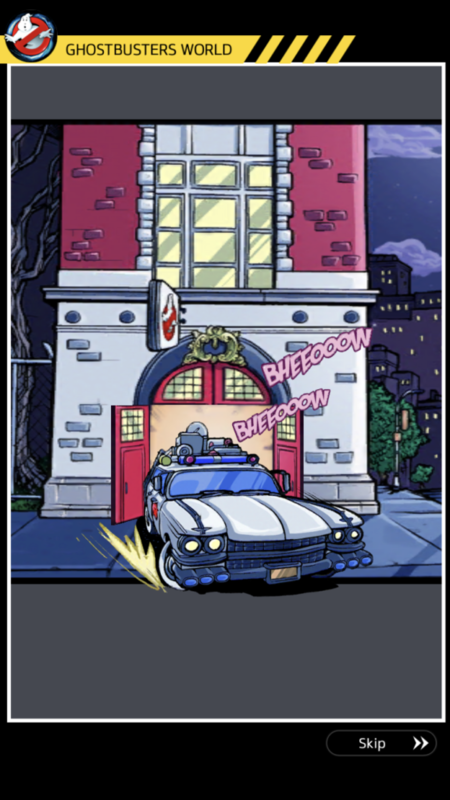 There are a few other novel features in Ghostbusters World’s gameplay that I appreciate because they add to an overall feeling that there’s more to do in this game than many of the other location based games out there. The first that comes to mind is that capturing ghosts is far more active than the endlessly flicking of balls in Pokemon Go. You have to weaken the ghost and then try to pull it into your trap. There’s a bit of strategy and eventual response to this, especially as you face stronger foes and need to upgrade your equipment along different paths. 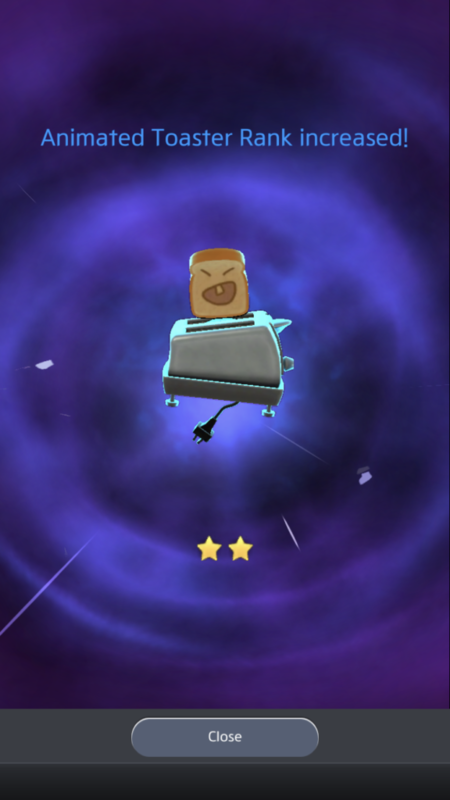 This capturing mini game in Ghostbusters World might get tedious after the billionth time you’ve caught the same ghost, but I haven’t yet fatigued from it. 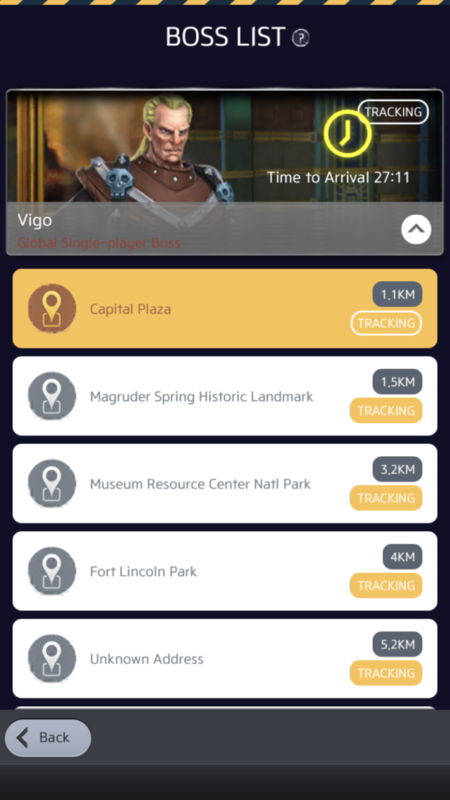 With most of these location based games I’ve long shouted that if you’re going to rip off a successful game, at least grab the good parts of it while adding a few of your own twists. I have to say, Ghostbusters World does that. I’m even veering perilously close to saying that Ghostbusters World is a better game than the one it steals from. I’ve, by and large, had more fun playing it than I ever did with Pokemon Go. No doubt my friends who are hopelessly addicted to catching pocket monsters would scoff at such a proclamation, but if Ghostbusters World sticks around long enough to make some fixes to some of its more glaring problems (and–oh my goodness– get some more music), a strong argument could be made for it being the better game.